Over the past week we've released articles and podcast episodes documenting the stories of Apple and third-party developers during the App Store's decade of life, but as our celebration week nears its end, we wanted to shift gears and share our own stories. I told the story of how MacStories came to be before. After dropping out of university (where I thought I was going to study Philosophy – it's funny to imagine another timeline where I ended up a Philosophy professor), I got a full-time job as a seller at a physical eBay store. Those stores, which were quite common before the smartphone era and the mobile-marketplace app boom, helped folks who didn't know how or didn't have the patience to sell old items on eBay. My job consisted of assisting customers who came into the store with boxes full of stuff, explaining to them how eBay and our fees worked, putting items up for sale, monitoring the auction, and taking care of shipments. It was a fun job, but it was also repetitive and somewhat boring after a while, yet it allowed me to save money toward the first computer I wanted to buy entirely with my own money. I wanted to buy a 15" MacBook Pro. The rest of the story is a classic example of the "Apple halo effect" applied to a 20-something year old who gradually approaches the Apple ecosystem. With a MacBook in my possession, I started hanging out on forum boards dedicated to Apple, then I subscribed to a few Apple blogs such as Daring Fireball and TUAW (RIP), and eventually started buying more Apple devices. I got an iPod Touch, then an iPhone imported from the United States (I never owned the iPhone 3G, which was the first iPhone officially available for Italian customers). Finally, because I had gotten so into the habit of posting and discussing Apple news and interesting applications with other users on forums, my girlfriend encouraged me to start a free blog on WordPress.com, which after a few months became the MacStories.net website that is still with us today. The App Store played a fundamental role in allowing me to channel my interests into a specific area of the Apple ecosystem: discovering new apps, understanding how they worked and why they were designed that way, and sharing my thoughts with an audience. I'm simplifying how things evolved1, but I can't stress this enough: without the App Store, I would have likely burned out writing about Apple news or rumors or Mac apps. The App Store enabled thousands of developers around the world to make a living off selling apps, but it also made it possible for a random guy from Italy to find his career path along the way thanks to writing about apps and the stories of app makers. Through the course of my almost decade-long career writing for and managing MacStories, I've seen hundreds of apps come and go, and I've witnessed several market trends, from the rise of In-App Purchases and the failed experiment of iAd to developers scrambling to update their apps for iOS 7 in the summer of 2013 and the complete revamp of the iPad platform in 2015. To this day, what keeps the job interesting is being able to study and cover emerging trends such as ARKit, subscriptions, and the progressive unification of mobile and desktop environments. In the process, I've also been fortunate enough to get to know many of the developers of my favorite apps, some of which, in hindsight, turned out to be pivoting points for MacStories. I guess the best way to describe "my App Store story" is as a constellation of stories with the underlying theme of the sheer importance of the App Store for this website. In early 2012, for instance, just as I was beginning to undergo cancer treatments, Paul Haddad and Mark Jardine of Tapbots – who had been promising a beta of the long-awaited Tweetbot for iPad for months – decided to send me an early beta of the app the day I was starting chemo. Paul probably doesn't remember this, but, that day of January, he sent me a message along the lines of "Here you go, a nice distraction for you today. Play around with it and let us know what you think", with a link to download the beta build (this was before TestFlight as a system feature). I was so excited about finally playing with Tweetbot for iPad, I didn't even pay attention to nurses sticking needles into my arms and explaining how chemo worked (much to the chagrin of my mother, who thankfully listened to everything they were saying). I spent the entire morning playing with Tweetbot for iPad with my free arm. Other testers received the beta a few days later, but that gesture meant the world to me at that point. Apps were always my favorite distraction when I was dealing with treatments. That period of my life is when I started using the iPad as my primary computer because I couldn't use a MacBook from my hospital bed. And towards the end of 2012, just as I was wrapping up treatments with a round of radiotherapy, something else happened: Ole Zorn, the developer of Pythonista (the app I started using to automate certain iOS tasks with Python so I could be more productive at the hospital), told me he was going to send me a beta of a new app he'd been working on. The app, he said, was going to be a mix of Sublime Text and Pythonista – a Markdown text editor based on visual automation and Python scripting. The app was Editorial. I remember spending dozens of hours testing very early versions of Editorial (including one where workflows were put together using a Quartz Composer-like UI) as I needed to wait for my turn at the radiotherapy facility where I had to undergo treatments every day for two weeks. That was November 2012. I tested Editorial until July 2013, when I started writing my in-depth review of the app, which came out in August 2013 along with Editorial 1.0. Even though I believe my writing and review workflow have improved (at least I hope so! ), my Editorial review is still one of the articles I'm most proud of because of what it stands for. Of course, there's another app I should mention. In January 2014, I remember getting a reply on Twitter from a reader who suggested I take a look at an app for iOS automation that had just won a hackathon. I looked at a demo video from the developers, and my immediate reaction was that those guys somehow managed to fool people with a fake app that was going to be impossible to build. I decided to be more polite with my reply and asked if it was only for jailbreakers instead. The app's developers said no, that the app was going to be App Store safe, and that my posts about iOS automation were part of the inspiration for the product. I thought that was interesting, but I was still skeptical about the whole idea of an Automator-like utility for iOS devices. The team disappeared from my radar for about eight months, until a day in August 2014 when one of the developers, Ari, sent me an email with a first beta of the app they'd been quietly building since January: Workflow. To say that Workflow fundamentally changed the direction of MacStories would be an understatement. In many ways, Workflow was the final piece of the puzzle in my quest to use the iPad as my only computer and to change the focus of our daily coverage from Mac to iOS. Workflow effectively invented the modern definition of iOS automation and it allowed me and hundreds of thousands of users around the world to get work done on iOS before the iPad Pro, Split View multitasking, and drag and drop. Perhaps more importantly, Workflow showed us glimpses of a future where our favorite apps – the ones we loved writing about at MacStories – could communicate with iOS and each other instead of being isolated silos of content. 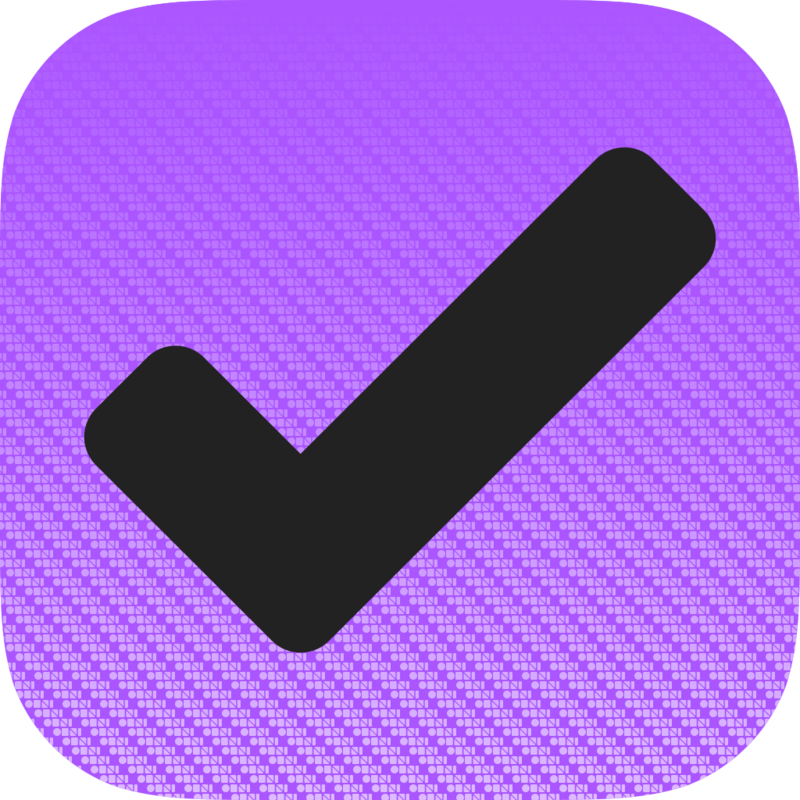 With Workflow now becoming Shortcuts, it looks like the app's (and the team's) original vision will live on. 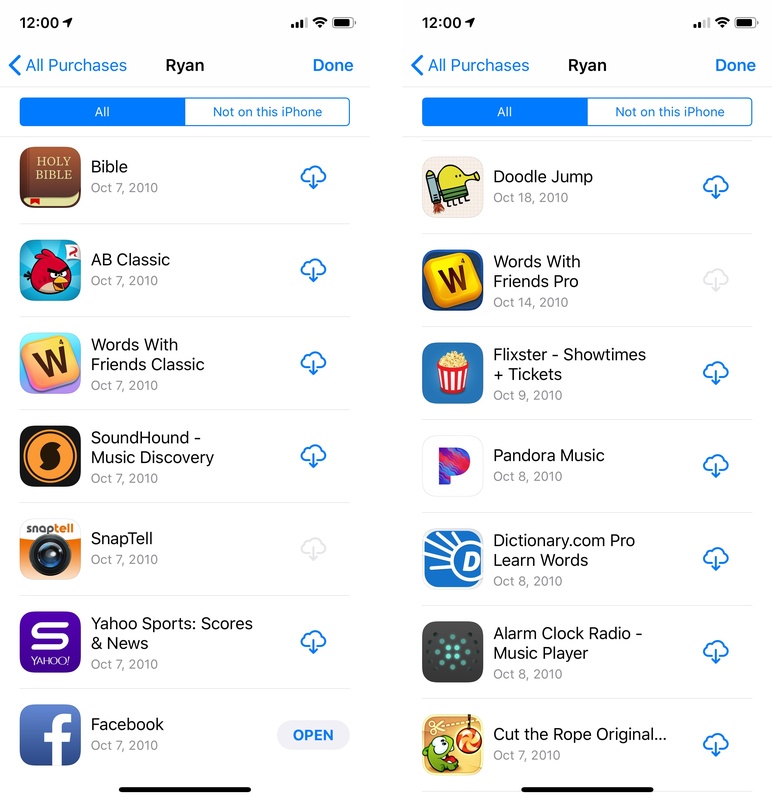 Besides recognizing the importance of the App Store over the past 10 years, writing this piece made me realize that, for me at least, what I love about the App Store is that it's been a delivery mechanism for the stories of developers. The people on the other side of the screen who actually make the software we use and the apps we write about each day. That hasn't changed one bit in 10 years. I hope it stays the same for decades to come. I had very limited exposure to the App Store until 2010, when I convinced my mom to buy an original iPad and then mostly ended up laying claim to it. That first year was largely spent playing games like Risk, Hearts HD, Prince of Persia Retro, Neuroshima Hex, Cro-Mag Rally, and iBomber Defense. As school required it though, I did dip my toe into the waters of productivity by writing essays in Apple's Pages. That original iPad was my introduction, but it wasn't mine, and that fact kept me at arms length from fully embracing it. A year later though, my grandma bought me an iPad 2 for my birthday. It was the first iOS device that I actually owned, and I fell in love with it. That iPad 2 was my constant companion, and the App Store was a window into infinite new opportunities for me to use it. Games were still a big part of my continued App Store experience, and that second year led me to new favorites. Hunters, Doodle Jump, tChess Pro, Catan HD, Words With Friends, and Tiny Wings all joined my gaming roster. I also finally started expanding my interests, downloading Macworld Daily Reader to begin following Apple news more closely. Trawling the App Store in mid-2011 led me to the eclectic OmmWriter, a simple writing app which played relaxing music in the background and resonated calming chimes as you pressed keys. OmmWriter for iPad was never fully baked, but it was my introduction to a new world of simple writing apps on iOS. I have a strong sense of nostalgia for those meditative tones, and I'm sad – although not particularly surprised – to see that it is no longer available on the App Store today. I got my first iPhone, an iPhone 4S, for Christmas in 2011. This opened up my App Store horizons to iPhone-only apps, including such classics as Instagram, Hipstamatic, and Clear. There were also plenty of apps that were very much of their time, like Swackett – "a different kind of weather app" – or Do it (Tomorrow) – a todo app focused on procrastinating your todos. There is no greater era in my history with the App Store than mid 2012. This was my personal introduction to some all-time great apps including OmniFocus, Tweetbot, Coda for iPad, iA Writer, Launch Center Pro, and Drafts. Six years later, every one of those apps remains on all of my iOS devices. Tweetbot in particular has been opened almost every day since I first downloaded it in 2012. Tweetbot may be my most-used of that bunch, but the most impactful to my life has been Drafts. This app (along with some help from Launch Center Pro) redefined how I used my iOS devices, and brought me into the fold of the bold new world of iOS automation back in 2012. Years before we'd see Extensions or iPad multitasking, we had URL schemes and x-callback-url. Automations with those methods were limited to passing text and commands between apps, but some surprising complexity could be achieved with those rudimentary building blocks. I'll never forget the first mention of my name on MacStories, when I chained 5 apps together with Drafts. At the time I had no outlet except for Twitter (sadly the Dropbox-hosted video showing the chain in action has been lost to the ages), but that article inspired me to build my first website. A year later that website led to my first piece for MacStories, and I've been writing here ever since. In terms of the App Store's impact on my life, I'm consistently stunned to think about how so much of my path over the last six years can be traced back to Drafts. Drafts led me to MacStories (which alone has been, and continues to be an incredible experience). MacStories was my only relevant experience to get hired for my college job as a support agent at SmartThings. A few years later, that support position led to me moving to Minneapolis, where I continue to work as a cloud engineer for the same company. My career, my city, and many long-time friends – I can trace it all back to that simple writing app that I downloaded on July 6, 2012. I find that absolutely incredible; an emphatic display of how Apple's App Store redefined the course of my life. So much of where I and my family are today has been affected by the App Store that it’s difficult to imagine what life would have been like without it. Ten years ago it started with my two oldest sons. As I explained on AppStories, my oldest son Owen wanted to learn programming. That led to he and his brother creating an iOS math flash card app when they were 11 and 9 years old. It wasn’t anything fancy, but it fed their interest in coding. Today, they’re both studying computer science in college. Along the way, I became interested in learning to make apps too. I dabbled with tutorials and read some books, but I didn’t make much progress. Then a unique opportunity fell into my lap. My day job sent me to work onsite for a client for 18 months. They didn’t have much for me to do, so I traveled. I wasn’t happy with my job at the time, so I spent a lot of that time trying to figure out why. It wasn’t until I attended the first Ull conference in Dublin that the lightbulb when off. There, I met writers and developers whose work I admired. As I talked to them, I realized that what was missing from my work was creativity and the opportunity to make something that people appreciated and found useful. Still, when my offsite job was over at the end of 2012, I went back to my old job and made one last push to make something of it. It quickly became apparent that that wasn’t going to work. As I was casting about trying to decide what to do, I attended my first WWDC with Owen, who had won a student scholarship in 2013. I couldn’t go to any of the sessions, but I made the most of it, spending my time meeting developers and soaking in the experience. At the end of the week, I knew I’d go back. That first WWDC also convinced me that I should give app development a shot. It took a while to come up with an idea that I thought I could pull off, but eventually I did, and I started work on Blink, which is a story I’ve told elsewhere. The point of no return came when I launched Blink. I’d worked for months by myself and was finally able to share my app with the world. It was an incredible feeling that is hard to describe, but I knew immediately I was finished as a lawyer. It took a couple of years of hard work and experimentation before I left my old job. Now, nine months into indie life, most of my time is spent writing here at MacStories and podcasting with Federico on AppStories. Blink is still in active development, but the app is now a collaboration with Owen, which has accelerated its development schedule and allowed us to work on an all-new Mac version, which is coming soon. I never imagined ten years ago that he and I would be working on an app together someday. So much of what I do has changed over the past decade and it continues to evolve. On the surface, the common thread running through it all is apps, but it’s more than that. An app is just a tool, and like with a hammer or a saw, there’s a far more interesting conversation to be had about the house built with those tools and the people who built it. It’s that human element that brings technology to life, makes it relevant to our daily lives, and enriches our culture. That is what’s at the core of where the past decade has led me and what I expect will continue to guide me as the next decade of the App Store begins. I was a smartphone holdout for far too long. I simply didn't know what I was missing as I held on to my cheap Nokia flip phone. Cost was the main thing holding me back, as my phone bill back then was a mere $20/month. However, I got my first taste for the power of apps, and the App Store, when my boss at the time bought me the first iPad in mid-2010. The iPad was part reward, part work tool, and I couldn't be more thrilled. I started using it to read, take notes, and browse the web, but it didn't take long before I realized that the full potential of Apple's walled garden would only come if I went all-in and bought an iPhone. On October 7, 2010, I became a proud iPhone 4 owner, and ever since then I've only plunged deeper and deeper into Apple's ecosystem. The way I use my devices, and the App Store, has changed so much since those early days. I download games and simple utilities far less often now, as my use of iOS has shifted to be productivity-focused. The only app that remains from those earliest days is Facebook (and I've nearly deleted it on several occasions). The biggest impact the App Store has had on me is the way it's empowered me to do my job better, and from any location. Early on, this meant using Wunderlist to track to-dos and Evernote to handle notes. These cross-platform tools were so transformative because they were with me wherever I went. Though most of my note-taking would take place on the Mac or iPad, having access to those notes, and the ability to jot down a note or to-do instantly, anywhere in the world, was amazing. Though my note-taking and task management apps of choice have changed over the years, the concepts behind these digital tools persist. From mid-2011 on, I've organized personal and work tasks across multiple jobs through an app, helping me waste less time and stay efficient in my responsibilities. I currently have over 1,100 notes, many of which are years-old records of different learning and teaching experiences I've had. So many of these notes are vital tools that I couldn't get my job done without. Another App Store-empowered work boost came from moving all my files to the cloud. Up until late-2015, all personal and business documents lived on my MacBook Air. As I prepared to transition from the MacBook to an iPad Pro, however, I went all-in on cloud storage and never looked back. Never again have I been in a situation where a co-worker needs a file from me, and I can't get it to them until I'm back at my desk. Shortly after I started writing for MacStories, the power and portability afforded by the App Store were put on full display. Near the end of 2016, my wife and I took a 20-hour road trip with another couple, and much of my writing during that trip took place on the road. I was using Bear at the time, and spent hours writing on my iPad Pro from the back seat of the car. I'd browse the web, save and edit images, and publish finished articles to the site while far from home. At one point, I was in the middle of writing an app news post when we made a quick pit stop. Thanks to Bear's excellent iCloud sync, I left my iPad in the car, picked up my iPhone, and went in the rest stop to finish up. I took screenshots of the app in question, set them in device frames using Workflow, then finished up and published before hitting the restroom. It's incredible what kind of experiences the App Store and iOS devices have made possible. As the world's workforce has become more mobile and globalized, it's done so in large part thanks to the amazing tools found on the App Store.